On 30th October 1312 the inquisition post mortem of John de Weyland was held in Suffolk where Richard de Weyland, his son of twenty-two years, was found to be his heir. In 1312 John de Weyland had ten and a half manors in Suffolk along with a messuage and 60 acres at Pethage from Guy le Feire by the service of 2s yearly. These manors were held from eight different owners and John de Weyland held no property directly from the king. The history of these ten manors can be traced in a patchwork manner in the decades before John de Weyland gain possession as outlined below. Most of the property it seems was acquired by John’s father, Thomas de Weyland, a long serving Chief Justice on the Common Pleas until he was arrested and exiled in 1290 for assisting two of his servants to avoid justice after they had committed a murder. The Weyland family possibly took their name from the village of Weyland in Norfolk which gave its name to a hundred in that county. Among the properties John de Weyland held in Suffolk in 1312 was half the manor of Blaxhale with the advowson of the church from Roger Bigod, Earl of Norfolk, by his manor of Donningworth and after 1307, from Sir Thomas de Brotherton by the service of half a knight’s fee. The other half of the manor was held by Robert de Ufford. At one time Walter de Ryboef held the manor of Blaxhale from the Earl Marshal (by service of ¾ knight’s fee) and Robert de Waleynes (by service of ½ knight’s fee). In 1258 Thomas de Weyland purchased Blaxhale manor for 300 marks. In July 1270 Roger le Bigod, Earl of Norfolk held the advowson of Blaxhale by his manor of Donningworth which with three other advowsons was held of the king by his honour of Eye by the service of 5 knight’s fees. In November 1300 Donningworth, Blaxhale and Wantisden with three other places were held from Edmund, Earl of Cornwall, by 5 knight’s fees. In 1290 Thomas de Weyland had possession of Blaxhale manor and the advowson by the service of a knight’s fees to Roger le Bigod, Earl of Norfolk and Earl Marshal, and a ½ knight’s fee to Robert de Waleynes. The Earl’s portion of the manor was worth £19 1s ¼d while the part belonging to Robert de Waleynes was worth 40s. Sometime before 1290 Thomas de Weyland granted Blaxhale manor to Sir James son of Gilbert de Iiletelshale in exchange for Thomas getting the manors of Kelling and Hedenham with the advowson of Hedenham. Afterwards Thomas de Weyland gave the manors of Kelling and Hedenham to James and James his son wile reserving the advowson while James gave Thomas and his son, John de Weyland, the manor of Blaxhale. James did no service for Blaxhale to the Earl Marshal but Thomas always did. The manor of Blaxhale was worth £20 and the year and day of waste was worth £30. This double transaction was possibly a way for Thomas de Weyland to protect his property from any potential prosecution he may be subject to as a result of his questionable actions as Chief Justice of the Common Pleas. In July 1304 a commission was established to discover who knocked down various houses of John de Weyland at Blaxhale and cut down trees and carried away the timber from the trees and houses. Houses and trees were also destroyed at John’s other manors of Clopton, Wytnesham, Wantesden, Middleton, Onehouse, Welhetham and Pethawe. In February 1307 John de Weyland held one knight’s fee from Roger Bigod, Earl of Norfolk, for the manors of Blaxhale, Brigge and Glemham. In 1312 John de Weyland held the manor of Assch from Alice Bigod by the service of half a knight’s fee. In 1272-3 Giles de Wachesham had a quarter knight’s fee at Assch held by Guy de Ais. An inquisition in March 1290 said that Thomas de Weyland held Assch manor from the Earl of Norfolk by the service of ¼ knight’s fee. It was said the manor was worth £8 0s 3½d and the year and a day of waste was worth 10s 4d. Another inquisition on 11th May 1290 said that Thomas de Weyland, Margery his wife and Richard, his son, and Richard’s heirs, held Assch manor of Sir William de Staunton by the service of ½ knight’s fee. The manor was worth £9 and the yearly waste one mark. In February 1307 Margery de Moyse, widow of Thomas de Weyland, held a half knight’s fee at Assch from Roger Bigod, Earl of Norfolk. Thomas de Weyland went to live in Paris after his exile and returned to England in 1297 after receiving a pardon where he died in 1298. In 1312 John de Weyland had the manor of Wantisden which was held of John de Colevyll by the service of 2s yearly. The record of an inquisition taken in July 1290 has only partially survived but it associates Thomas de Weyland with the manor of Wantisden but under what terms he held it is unknown. In about 1266 Thomas de Weyland married Anna, daughter of Richard Colvill and had a son, John de Weyland of the 1312 inquisition. It is possible that Thomas de Weyland acquired Wantisden by marriage. In August 1290 a commission was appointed to discover who pulled down the houses of John son of Thomas de Weyland in his manors of Wantisden, Clopton and Wittelesham. In November 1300 Edmund, Earl of Cornwall, held Wantisden from whom it was held by Roger Bigod, Earl of Norfolk, by 5 knight’s fees with other places like Blaxhale. John de Weyland held Wantisden in 1304 when houses and trees were destroyed there. In 1312 John de Weyland also had Middilton manor with the advowson of the church from Drew de Barentyn by the service of quarter of a knight’s fee. In March 1269 William de Criketot held the manor and advowson of Middleton by the service of one knight’s fee from William de Blanmoster. John de Weyland held Middleton in 1304 when houses and trees were destroyed there. Before October 1305 Richard de Weyland and Joan his wife held Middleton (in Norfolk) where they jointly enfeoffed Robert de Scales and Isabel his wife of certain tenements. In February 1307 John de Thorp held 3½ knight’s fees in the manors of Middleton, Iokesford and Helmingham from Roger Bigod, Earl of Norfolk. In 1312 John de Weyland held Clopton manor with the advowson of the church from Thomas de la Sale Ars by the service of 1d per year. In June 1253 William le Rus held Clopton manor with Hasketun manor from Roger Bigod, the Earl Marshal, by the service of one knight’s fee for both manors. A later inquisition in March 1260 said that William le Rus held the manors of Akeham, Hasketun and Clopton from the Earl Marshal of the honour of Lancaster by the service of 2½ knight’s fees and 20s yearly to the guard of Lancaster. In July 1290 the sheriff of Suffolk was ordered to restore the manor of Clopton to John son of Thomas de Weyland after the manor was previously seized by the king for the felony of Thomas de Weyland. Not only did Thomas de Weyland commit a felony but exiled from the country (or fled the country as some documents say it). An inquisition found that Thomas and John de Weyland were jointly enfeoffed of the manor by Oliver de Wysete. The manor was held of Hugh le Despenser by knight’s service and was worth £10 yearly. In November 1293 Isabel de Fortibus, Countess of Albemarle, held Clopton manor from the king by the service of a sparrow-hawk and on her death King Edward became her heir for Clopton. In January 1298 Clopton, Wytingham, Hasketon and Akenham were held by Roger Bigod, Earl of Norfolk from Edmund, Earl of Cornwall by 3 knight’s fees. In January 1298 the four manors were held by Lady Alice de Brewose from the Earl of Norfolk rendering 30s yearly to the guard of Lancaster castle. In 1304 John de Weyland held Clopton manor when houses and trees were destroyed there. In February 1307 Giles de Brewosa held 3¾ knight’s fees on the manors of Akenham, Hasketon, Wytingham and Clopton from Roger Bigod, Earl of Norfolk. In 1312 John de Weyland had the two manors of Swynlaund and Wytlisham from Sir James de Ilketishale by the service of a rose per year. In 1314 Gilbert de Clare, Earl of Gloucester and Hereford, had part of a knight’s fee at Swynlaund. Over the border in Norfolk, long before 1291, Thomas de Weyland had given the manor of Kelling to James son of Gilbert de Ilektishale and James his son (the later Sir James). Subsequently James senior gave the manor back to Thomas de Weyland without the permission of James junior. The manor was taken into the king’s hand following the felony of Thomas de Weyland. An inquisition in June 1290 said that Thomas de Weyland only held Swilland from Philip Harneys for ten days before he was declared a felon. In January 1291 the king ordered the manor to be restored to James junior. In 1312 John de Weyland had the manor of Wytlisham from Sir James de Ilketishale by the service of a rose with Swynlaund manor. In April 1311 Giles de Brewosa claimed to have the manor of Witnesham jointly with his wife Joan of the Countess Marshal. John de Weyland had married a daughter of Sir Richard Brewosa and so was related to Giles de Brewosa. Later in November 1311 it was found that Witnesham did not form part of Giles’s property but after the death of Alice de Bello Monte should have reverted to Joan, wife of Giles and her son Richard. 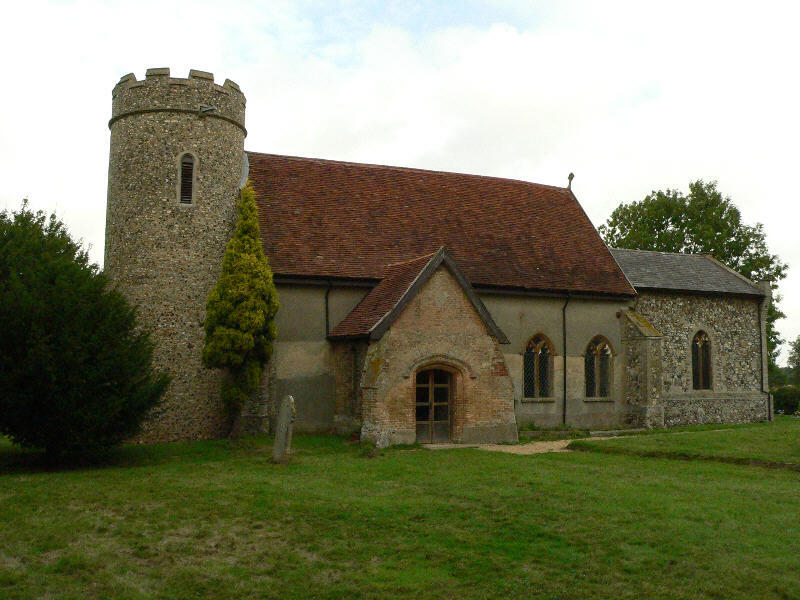 In 1326 Alice de Bello Monte held Witnesham manor of the inheritance of Robert son of Giles de Brewosa of the Bishop of Norwich by his manor of Baketon by the service of 2¼ knight’s fees. In 1326 a ¼ knight’s fee was held at Witnesham by Robert de Weyland while the heirs of Richard de Weyland held another ¼ with Nicholas Fouch having another ¼ fee. The manor of Witnesham had a long association with the Weyland family as in about 1220s Herbert de Weyland married Beatrice, one of the six daughters of Stephen Witnesham. This Herbert was said to be the father of John, Richard, Wiliam and Thomas de Weyland (the chief justice and felon). An alternative source says that Thomas de Weyland (the justice) was the son of Sir William de Weyland and Marsilla (who in her widowhood married John de Brandon). In August 1290 John son of Thomas de Weyland held the manor of Wittelesham when unknown persons knocked down a number of houses on the manor. In 1304 John de Weyland held Wytnesham when houses and trees were destroyed there. In 1312 John de Weyland held the manor of Cokefield from the Abbot of Beaumund along with the manor of Bromton in Withernisham by the service of ¾ of a knight’s fee. It is not known who this abbot of Beaumund was. 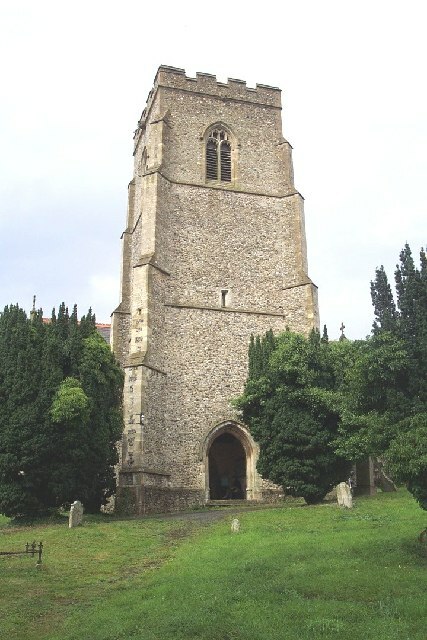 The Abbot of Bury St. Edmunds is recorded as the owner in other documents and in 1312 the abbots there were Thomas of Tottington and Richard of Draughton. In 1262-3 Richard de Clare, Earl of Gloucester and Hereford, held unspecified knight fees at Cokefield and other places in Suffolk. In Christmas 1263 Hugh de Veer, Earl of Oxford, held Cokefield manor from the Abbot of Bury St. Edmund’s by unknown service. In 1275 Abbot Simon of Bury St. Edmund’s granted Cokefield manor to the prior and convent of same. In October 1296 Robert de Veer, Earl of Oxford, held Cokefield manor from the Abbot of Bury St. Edmund’s for which he yearly rendered 2s 11d and Robert de Veer was his son and heir. In 1312 John de Weyland held the manor of Bromton in Withernisham from the Abbot of Beamund. In August 1326 Robert son and heir of Giles de Brewosa, a minor, held Bromton in Witnesham by the heirs of Richard de Weyland (son of John de Weyland and died 1319) as of the manor of Witnesham by the service of half a knight’s fee. As noted above Alice de Bell Monte held Witnesham manor for life of Robert de Brewosa’s inheritance from the Bishop of Norwich. If the Abbot of Beaumund was supposed to be the Bishop of Norwich then John Salmon was the Bishop in 1312 at the time of the inquisition post mortem of John de Weyland. In 1312 John de Weyland held the manor of Onhous from the Abbot of Bury St. Edmund’s by the service of one eight of a knight’s fee and 1s yearly. The abbey of Bury St. Edmund’s was one of the richest monasteries in the country at the time of the taxation roll in 1291 and at its dissolution in November 1539. In October 1290 the king ordered Malcolm de Harley to restore the manor of Onehouse to Margery, wife of Thomas de Weyland and Richard de Weyland, her son. The manor was seized by the king following the felony of Thomas de Weyland. Margery and Richard said that they, along with Thomas de Weyland, were jointly enfeoffed of the manor by Alice de Cotenham. But the Abbot of St. Edmund’s claimed that the manor was his and so should have reverted to him and not the king. An inquisition was ordered and a court case arranged to settle the ownership but the Weyland family wouldn’t cooperate until they were restored to the manor first. In 1304 John de Weyland held the manor of Onehouse when houses and trees were destroyed there and the timber carried away. 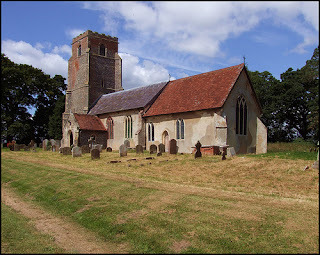 When Richard son of John de Weyland died before April 1320 the manor of Le Fenhale in Onehouse was the only property he held in Suffolk apart from some other unnamed tenements he held jointly with his wife Joan who survived Richard. Elsewhere we find the heirs of Richard de Weyland still held many of the properties John de Weyland had. Le Fenhale in Onehouse was held of the Abbot of Bury St. Edmund’s by the service of one knight’s fee but not of the whole manor. At the same place Richard de Weyland held 24 acres from Lady Cecily de Ufford by 4s of yearly service and a further 30 acres was held of William Sturmyn by the service of 4d yearly. Richard’s heir was his six month old daughter, Cecily. In 1312 John de Weyland held Whelwitham manor from the Abbot of Bury St. Edmund’s by the service of one eight of a knight’s fee and 1s yearly. In 1281 Thomas de Weyland held Whelnetham where Robert son of Philip was to return a messuage, 45 acres of land, 5 acres of wood, 2 acres of meadow and 12d of rent which he took without right because this property was held as the dower lands of Alice, wife of Philip, and so should have not been given to Robert de Parva Whelnetham. In 1304 John de Weyland held Welhetham when houses and trees were destroyed there and the timber carried away. The complex story of the above manors of John de Weyland, which he held in 1312, shows how difficult sometimes it is to reconstruct a medieval landed estate. As in nearly every manor there is not single ‘owner’ if owner is the correct word as all the land of England was ultimately owned by the king. Instead you get layers of ownership that often change with a family enfeoffing (entrusting) some of their land to a second party and then getting it back on lifetime lease. The Inquisitions Post Mortem are a good start in the search for a medieval estate but they do not tell the full story and other sources like the Close Rolls and Patent Rolls or the Inquisitions Miscellaneous or the cartulary of an abbey are needed to add to the story and fill in gaps. As in any search for a medieval estate, information will be found that does not tell the full story but when combined with other information provides a link such as the Weyland family having Wantisden from the Colvill family and a Colvill daughter had married a Weyland and so we could say that Wantisden was a marriage gift. Thus behind the inquisition post mortem of John de Weyland in 1312 is a story that can be applied to other medieval estates to better understand the surviving documents and fill in the gaps for the documents that didn’t survive.